At the age of 13, I was introduced to weed through a brownie, then continued to smoke it and at 14 found some Vicodon tried it liked it. I was taking 6-8 a day 3-4 at a time along with a couple k-pins hear and there and still smoking a couple joints hear and there. I got caught with Vicodon in my bag at school put on probation. I was eager to get high on the last day of my probation, but I had no more drops left so I took 3 k-pins and 5 Vicodon. After detoxing on probation, my tolerance was lower, and I took more that day than I was used to taking when my tolerance level was high. Now I'm in my 4th week of rehab 2 months into summer after my mom finding me with heroin for the first time. I'm really so glad that you're in rehab and I hope you plan to get completely clean and are deciding not to use. Heroin is a disease that will attack your brain and not let you live a normal, happy life. Because your brain is not fully developed, heroin can be even more harmful to you. I really appreciate you sharing your story and hope that you can let me know how your recovery is going. Rehab is only the first part of the process, now you need to decide you want to stay clean and not use. Have you decided that yet? Opiate addiction can happen very quickly and it probably got control of you before you even knew it was happening. Thanks for responding to my story. There are many times where I want to get and stay clean yet my craving scores to use are still pretty high I don't know how I'm going to shake that but I do think rehab has been helpful even though I'm in here against my will. Thanks again!! 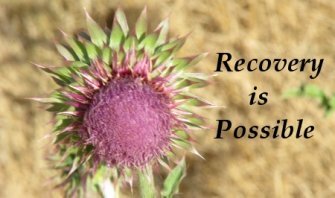 Many people who are in rehab against their will do learn how to live a drug-free life. Hopefully you will listen to your counselors and ask them to help you to learn to deal with your cravings. I have a daughter who's addicted to heroin. A week ago she ended up in the ER with an overdose. She was extremely lucky that she didn't stop breathing and die. Also was lucky she didn't get hurt while she was in and out of consciousness. She was in a really bad side of a certain town. But her car did suffer damage and an expensive guitar got stolen. This was very scary for her. I'm not sure I've yet processed all of it. She's starting an outpatient program this week. You are doing the right things to get better. Don't feel ashamed because of the cravings. You are very brave. I wish you all the best. You deserve it. I appreciate you telling people about your story and it was very interesting. I think you had done the wrong thing and could have controlled yourself but you did not strive for the best. I'm also 13 and nearly 14 in 2 and a half months. If I was you I probably would have done the same because I know that our brains haven't developed as much as an adults and we find it "cool" to do such things. I got high as well but no on drugs I may have had vodka and I do shisha but that's different I think you can try harder. If I was you I would have been careful with my parents. My parents don't know about me, on the other hand, that was your past and what has been done, has been done, and no one can change it. All I can say is just before you go out or do anything just think to yourself "can I do better", than that you might be doing the best but I have faith in you and we all know that there is no best we are all unique and amazing in our own way. All I want to say is that think about your actions, think about your future and not your past. Every time you speak to anyone about anything or even do anything just think about it and try to work out a better way of doing that thing. Just remember me every time you do something. Hope this helps and I'll remember you to and pray the best for you and your future.